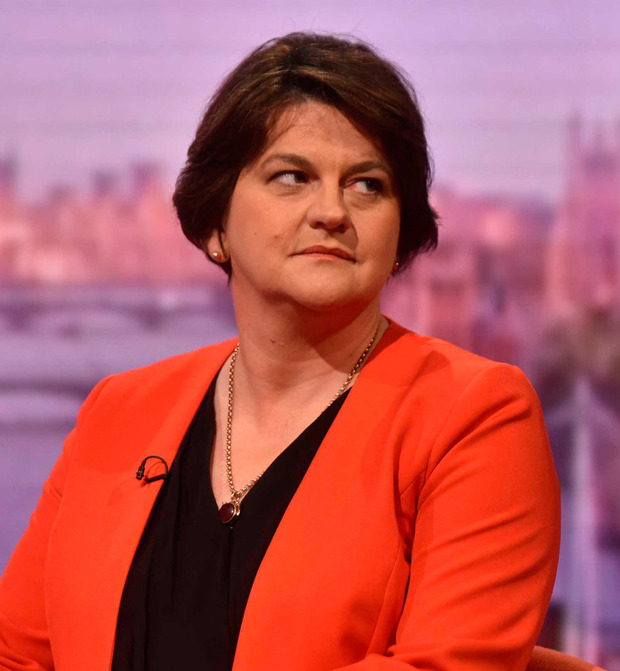 The UK does not need to remain in the customs union to keep a "free flow" across the Irish Border, according to DUP leader Arlene Foster. Ms Foster, whose party props up Theresa May's government in Westminster, hit out at Brussels over the EU's stance on customs. She also said she would like to see "less rhetoric" and "more engagement" from the EU on the way forward. However, there is still little in the way of tangible solutions to solve the conundrum of the Border after Brexit. She told the BBC's 'Andrew Marr Show': "We don't believe that we have to stay in the customs union to have free flow between ourselves and the Republic of Ireland. We believe that there are ways to deal with this, and indeed, back in August of last year, as you know, the [UK] government put forward various proposals. We were disappointed there wasn't the engagement from the European Union at that time. "What we would like to see from the European Union is less rhetoric and actually more engagement in relation to the pragmatic way forward." On a recent visit to Ireland, EU chief Brexit negotiator Michel Barnier warned talks were in jeopardy if the UK did not soften its red line on the Border issue. "What he [Mr Barnier] was saying was that it was up to the UK to come up with a solution and they would wait for that solution to come and that is not the way forward," Ms Foster told the BBC. "The way forward is to have a negotiation where both sides are engaged in the negotiation and we look for a solution that will make the difference." Ms Foster also said she had a phone conversation with Mrs May on Saturday about customs solutions. 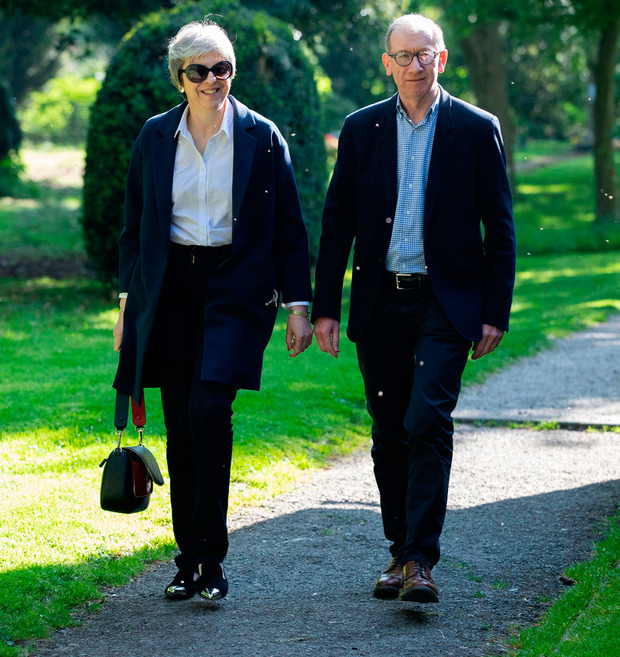 Separately, Theresa May has been accused of silencing Eurosceptics while allowing her pro-European Business Secretary to resurrect "Project Fear" over plans for a post-Brexit customs partnership with the EU. Greg Clark, the Business Secretary, suggested that 3,500 jobs at Toyota could be at risk if the Prime Minister bowed to pressure from other Cabinet members and dropped the plans. Eurosceptics ministers thought they had "killed off" the plans after a meeting of the Brexit "war cabinet" last week amid concerns that it would lead to Britain staying in the customs union. However Mr Clark said it was still "on the table", adding that he felt "very strongly" and was "clear-eyed" about the need to protect jobs after Brexit. He suggested that a transition period on customs could be extended until 2023. Within minutes of his comments, the CBI group of business leaders, which is campaigning for Britain to stay in the customs union, sent out supportive comments. His intervention prompted a furious backlash from Eurosceptics, who said that his intervention had been "licensed" by Downing Street. 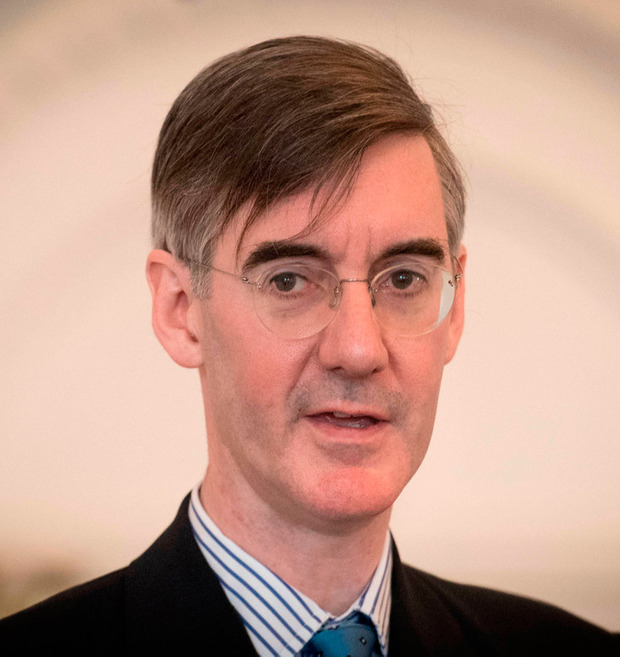 They accused No 10 of double-standards, highlighting the fact that Eurosceptics opposed to the customs partnership plan like Boris Johnson, Michael Gove and David Davis are unable to voice their views publicly. Downing Street denied it had orchestrated Mr Clark's intervention. A Eurosceptic Cabinet source said: "It's Project Fear all over again, it's not going to work. "These tired old arguments were all trotted out during the referendum and the electorate wholeheartedly rejected them. "It's time we stopped fighting the battles of the past and went for a true Brexit."